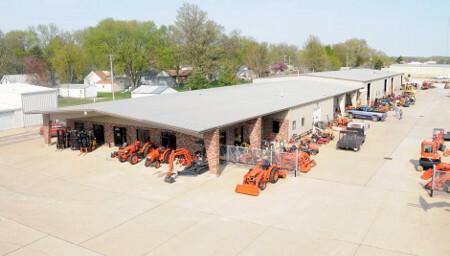 Lawn EQ not only stocks a large quantity of lawn and garden equipment parts, but also has a 7000 square foot showroom housing Kubota tractors, Kubota mowers, Toro mowers, Toro trimmers, Echo chainsaws, weedeaters, generators, and much more. The company has grown, but our commitment to quality and service remains the same as it was back when Stan Bahrns started his business on a shoestring in the mid-1960s. We continue to move forward with the same family owned and operated business our local and online customers have enjoyed. Straight out of high school, Stan Bahrns went to work for a local mechanic. He went on to become the foreman for a Ford dealership before he got drafted in about 1963. When Stan came back from serving his country in Vietnam, he sold airplanes and flew charter flights for a year. Then he found out his previous boss, who gave him his first job, wanted to sell his business. With $500 in the bank, Stan took over the business and soon found himself working on everything from concrete and milk trucks to lawn mowers to tractors and forklifts. 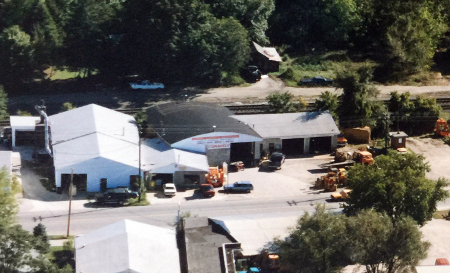 Over the years, Bahrns Equipment continued to expand its product range, building its reputation on selling quality products, parts and offering superior service. Stan Bahrns knew that when customers needed something fixed, they wanted it fixed right and didn’t have time to wait. By 1976, Bahrns Equipment sold and serviced two lines of products, serving both industry and the farming community. When asked what made Bahrns different from the others, Stan replied: “What we had was a group of mechanics and they did a good job. We had satisfied customers that referred us a lot. I think that was where we really got most of our business.” He went on to say that Bahrns became one of the first businesses to sell gas powered weed trimmers. “We took on the Echo brand around 1977 and we’ve had them ever since.” Other brands followed, including Kubota and Toro as well as Toyota and Mitsubishi forklifts. 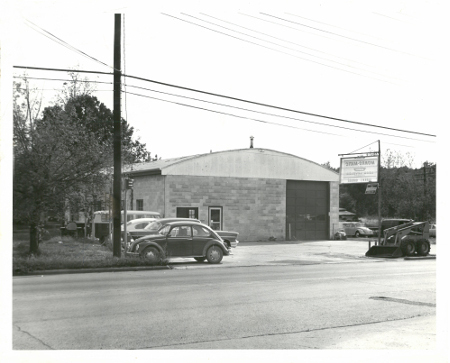 Today, LawnEQ.com operates as a separate division of Bahrns Equipment, allowing staff and mechanics to focus on what they do best and that's selling the best lawn equipment, parts and providing superior service to their customers, many of whom have been coming to Bahrns for all their needs since its humble beginnings back in the 1960s. Online service is the next step in the success story. LawnEQ.com is not a faceless website. The same people who are committed to supplying quality lawn equipment, parts and service at our Central Illinois showrooms are the driving force behind our website. LawnEQ.com makes it easy for you to find the products and parts you need from the comfort of your living room. If you need assistance, just contact us. Our dedicated customer service staff is here to help you. Along with LawnEQ, Barhns Equipment has an online presence in other fields in the industry. Bahrns.com offers Material Handling Equipment, Warehouse Supplies and much more.